Doula UK was founded in April 2001, as a network of doulas, run voluntarily by doulas. Earlier that year a group of us were very fortunate to be part of Michel Odent’s first “training” of doulas in the UK. We knew little about how doulas worked in the United States (where the movement had started) so with Michel’s words of undisturbed birth and ‘wise women’ ringing in our ears, Hilary Lewin, Mags Hardwick,Vida Rye, Nicola Wilson, and a group of passionate and motivated women sewed the seed for what has become the only UK-wide organisation for doulas. Adela Stockton’s book, ‘Gentle Birth Companions’ charts those early days of the doula movement in the UK. Since that time our network has steadily grown and Doula UK now has nearly 700 full members, who are all working doulas in the UK. At the beginning of 2004, we introduced a “Recognition Process” for doulas in the UK. This established a distinction between doulas who have simply registered with us, and those who are “recognised” as having attained a particular level of learned skills and experience. At the end of 2008, we carried out a survey of Doula UK members. Amongst other things it provided more evidence for the benefits of having a doula, such as the reduced risk of caesarean birth, less use of epidural and higher rates of establishment of breastfeeding. This survey was repeated in 2014 by Doula UK Approved Preparation Course facilitator, Sophie Brigstocke. The results of both surveys were published in MIDIRS. In 2007 we founded a Hardship Fund, which later became the Doula Access Fund. Demand for the service grew over the years, and in 2017 our Membership voted to close the project so that it could open as a standalone charity. You can read about the Doula Access Fund Charity here. 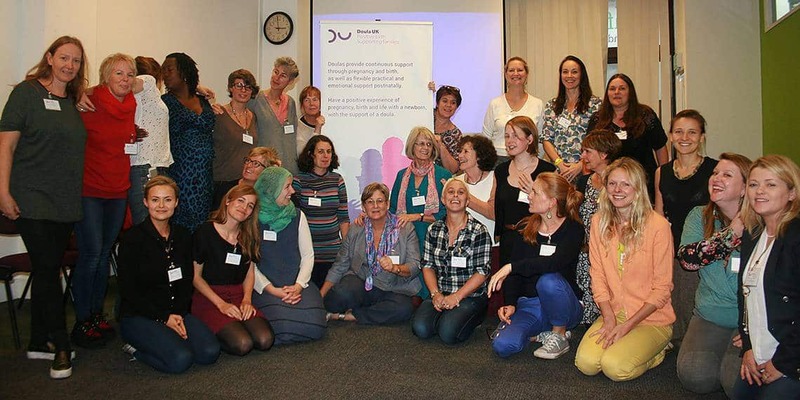 Doula UK is a member of the European Doula Network and the Maternal Mental Health Alliance.